Dog’s are man’s best friend. They are fiercely loyal, protective and provide the best friendships; basically, they’ll always have your back. And it seems as though this is still the case even once their owners have passed away, as one dog has been waiting outside a hospital for his owner for over a week. 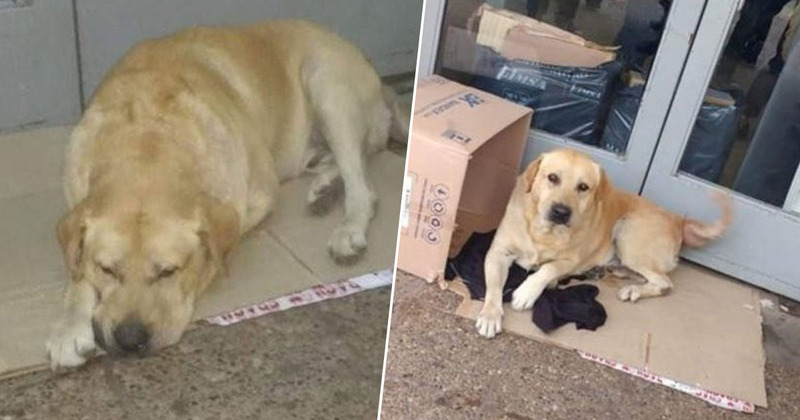 Heartbreaking pictures emerged showing the loyal dog waiting outside the hospital in San Salvador in Argentina, unaware his owner is dead. 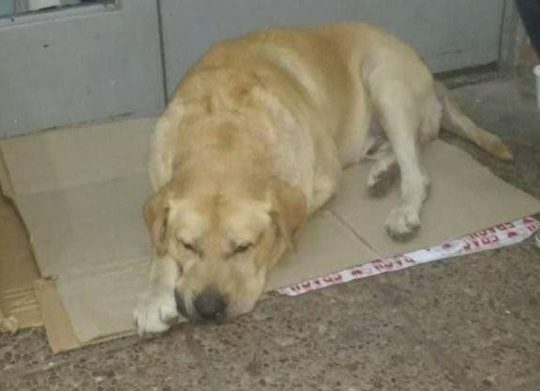 Toto the Labrador had been sitting outside the door to the hospital for more than a week, waiting for his owner to return. The six-year-old Lab’s owner reportedly asked for his loyal pup to be brought to his bedside shortly before he passed away, so he could say one last goodbye. 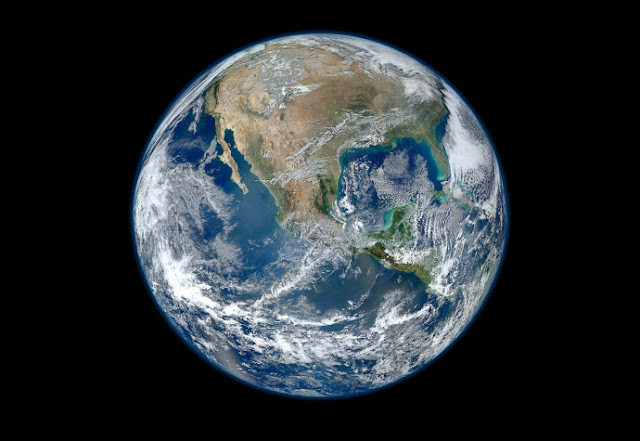 However, local media reports that when the man passed away, none of his family members took Toto with them and the poor dog was left alone – all the while believing his owner was going to come back and get him. Fatima Rodriguez, a member of a local animal protection organisation, said they are currently looking for a new owner for the Lab. This is primarily because there is a risk that Toto will try to escape in order to get back to the hospital and wait for his owner. Labradors are renowned for their loyalty, with the American Kennel Club saying they will go anywhere and everywhere with their owners; heartbreakingly, Toto has continued this loyalty even after his owner’s death. As well as being unquestionably loyal, local media reports Toto is a well behaved dog and is welcoming to everyone who comes to stroke him. 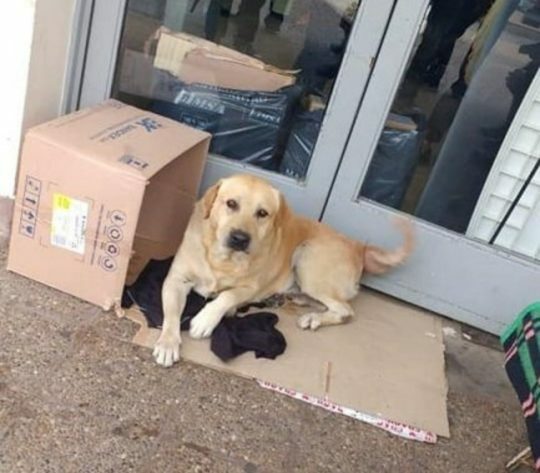 A neighbour who is looking after the Lab while a new home is found for him has said the dog doesn’t seem to understand his owner won’t be returning. The six-year-old Lab is currently being treated by a vet and needs to undergo surgery on one of his paws. Toto will also be castrated. Hopefully Toto will make a full recovery and a new, loving home will be found for the Lab soon. This is the kind of media that makes me cry, anger, as well as it makes my heart bleed full of pain in an unsurmountable levels. What a touching story. A site like this should be commended for posting articles that promote how animals should also be looked as beings with feelings.